Lawmakers advanced a bill from general file March 28 that would give the inspector general of the Nebraska Correctional System expanded reporting capabilities. Currently, the inspector general’s office investigates allegations of possible misconduct, malfeasance, statute violations and injury or deaths that occur in the state’s facilities. The findings are then published in the office’s annual report. 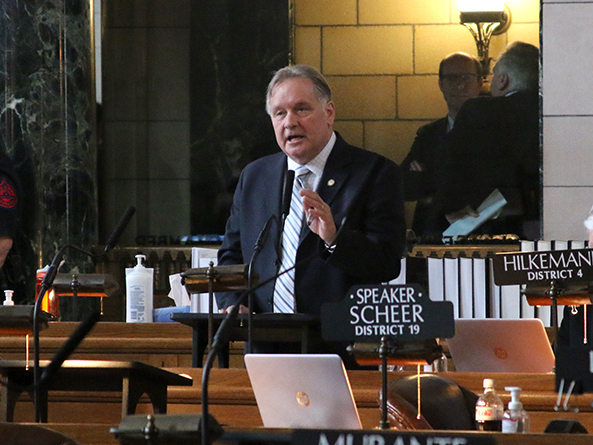 LB539, introduced by Omaha Sen. Bob Krist, would expand the reporting requirement to include all cases that result in death, serious injury, hospitalization or urgent medical treatment required by an employee acting in his or her official capacity. 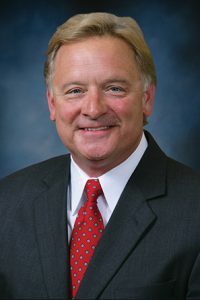 Krist said the Office of Inspector General of the Nebraska Correctional System was established in 2015 in response to management questions and increasing safety threats to inmates and staff alike. “Since the act went into effect, the Office of the Inspector General has identified major changes to the act that would assist him in carrying out his duties and those of his office,” he said. The introduced bill also would require the inspector general to receive consent from the prosecuting attorney to interview any person who has already been interviewed by law enforcement as part of an active investigation. Omaha Sen. Ernie Chambers introduced an amendment, adopted 35-0, to strike this new language. He said the original bill was introduced before a March 2017 disturbance at the Tecumseh State Correctional Institution. Chambers said without the amendment, the inspector general would be prohibited from interviewing anyone while the investigation was ongoing. Journalists, on the other hand, would not face the same prohibition, which Chambers called unreasonable. “This would put the Office of the Inspector General on the same footing as others who are allowed to conduct interviews while such an investigation is going on,” he said. A second amendment, introduced by Crete Sen. Laura Ebke, removed a provision that currently limits the office to only one annual report. It would allow the inspector general to release investigative findings if it is determined to be in the public’s best interest. The Ebke amendment also would protect any employee who provides information for such a report from negative employment consequences. Following the 35-0 adoption of the Ebke amendment, senators advanced the bill to select file on a 34-0 vote.